Henschel Hs.126 in the early 1940s, is hopelessly outdated, but the Luftwaffe to the beginning of the war was 275 aircraft of this model. Low-speed and poorly armed archaic plane became easy prey for the Soviet fighters, so rather quickly Hs-126 began to be used only at night. 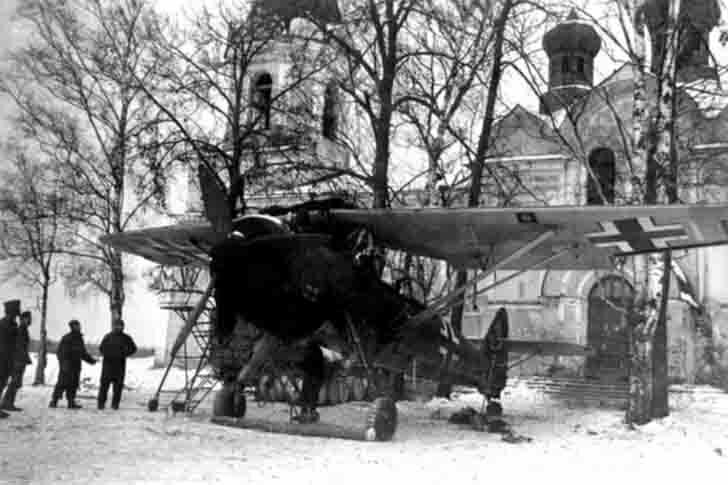 Of them even formed part of the light night bombers, following the example of Russian U-2 (Po-2). Some Henschel Hs.126 aircraft survived until the end of World War II.